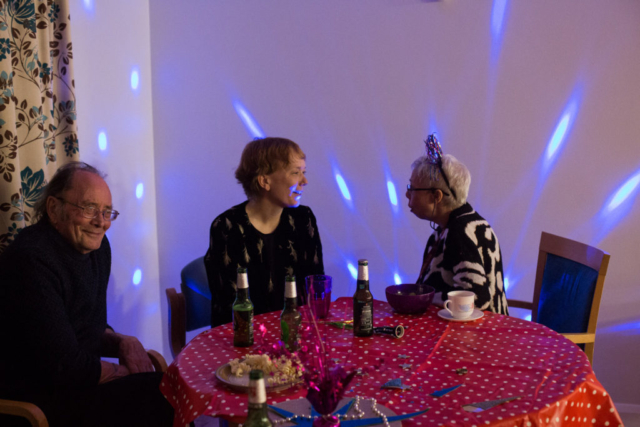 Evenings in care homes can be quiet and lonely, so every week Magic Me volunteers host cocktail parties - an occasion for volunteers and residents to socialise together. Evenings in care homes can be quiet and lonely, so every week Magic Me volunteers host cocktail parties – an occasion for volunteers and residents to socialise together. Due to ill health, frailty and diminished energy, care home residents can’t pop down the pub or out to socialise with friends. Those whose families live far away might not have any visitors or even see anyone from outside the home for weeks at a time. We set up Cocktails in Care Homes in 2010 to change this. 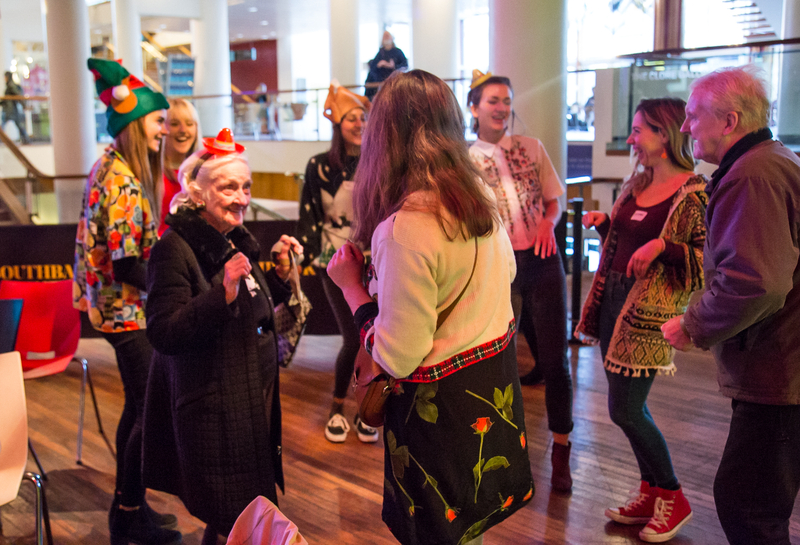 Now thanks to our growing team of volunteers, we run monthly parties in sixteen London care homes. What I love about the parties is they make me feel that people think about you. Whether you are a volunteer, a care home, a local authority or a business looking to develop volunteering for your staff, there are all kinds of ways to get involved. We aim for each party to be a fabulous social event that just happens to be held in a care home, which anyone, regardless of age, would like to attend. Our parties are attended by residents, their relatives and care staff. Each party needs a team of around 10 volunteers whose role is to socialise, serve drinks and chat with residents. Parties are on a Wednesday or Thursday evening from 6pm – 7.30pm and volunteers simply choose the party dates and locations that suit them. visit our Party Info page here. For family members, care homes can be stressful places to visit especially if your relative has dementia, so a party provides a relaxed way to spend time together. And staff tell us that after a party the mood and atmosphere in homes is brighter and lighter for days afterwards. The project is currently running in 8 London boroughs – Tower Hamlets, Islington, Camden, Southwark, Hammersmith & Fulham, Waltham Forest, Westminster, Brent and Lambeth. Click here to see a map of care home locations. However, demand continues to grow and so we are looking for new volunteers, partnerships and supporters to get involved and enable us to increase our reach across London and beyond. Cocktails in Care Homes is funded primarily by donations from individuals and corporate partners and grants from trusts and foundations. Cocktails in Care Homes is currently supported by The Henry Smith Charity, Santander Foundation and the People’s Postcode Trust as well as individual givers and corporate partners. We are especially grateful to The Aurum Foundation and The ExPat Foundation for their support in creating the previous website. 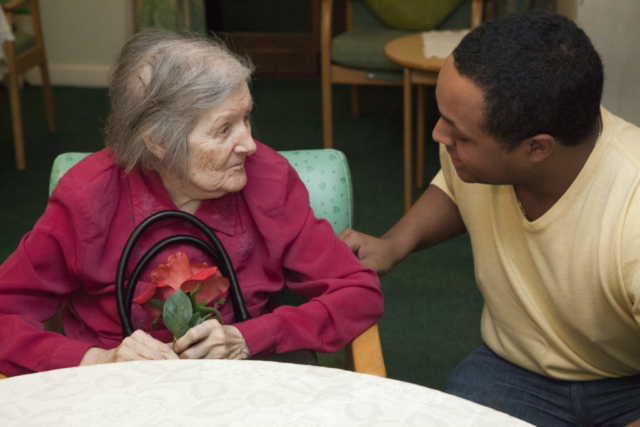 Cocktails in Care Homes is currently funded to run in selected care homes in the London boroughs of Tower Hamlets, Islington, Camden, Southwark, Hammersmith & Fulham, Waltham Forest, Westminster, Brent and Lambeth. We are working to grow the project to new locations where local funding is available. We are always keen to hear from care home providers and local authorities interested in partnering with us to bring Cocktails to their area.